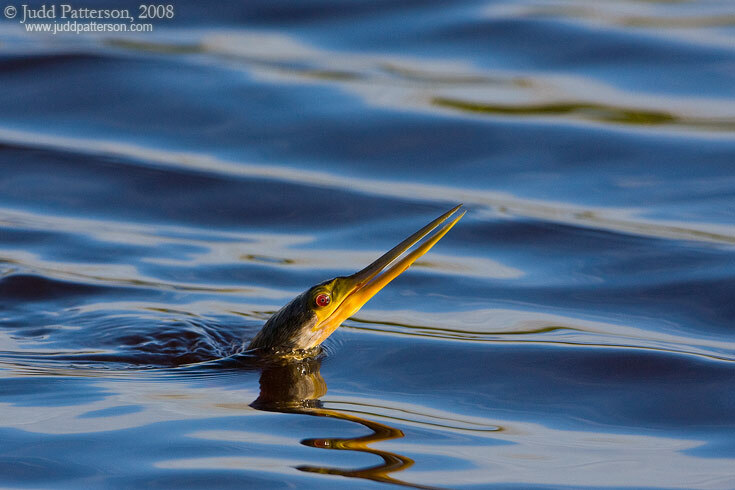 Notes: The Anhinga, sometimes called the "snake bird" is an amazing swimmer. While hunting fish, they will frequently raise just their heads above water. After grabbing a breath and looking around, they slide silently back under water (the moment captured here). They are really fun to watch!